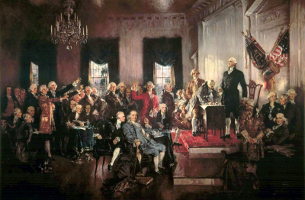 Michael Ramsey | Main | Eric Segall: Is Originalism a Theory? [I]n case of vacancy in the office of secretary of state, secretary of the treasury, or of the secretary of the department of war, or of any officer of either of the said departments, whose appointment is not in the head thereof, whereby they cannot perform the duties of their said respective offices, it shall be lawful for the president of the United States, in case he shall think it necessary, to authorize any person or persons, at his discretion, to perform the duties of the said respective offices, until a successor be appointed, or such vacancy be filled: Provided, That no one vacancy shall be supplied, in manner aforesaid, for a longer term than six months. For reasons already explained, this statute seems in my view entirely consistent with the original meaning of the Constitution, as a necessary and proper effectuation of the executive power; the executive power is limited not just by the Appointments Clause, but also by the Take Care Clause which seems to be one of the clauses that provides for appointments. Here is the Take Care Clause, with the Commission Clause added for context: "he shall take Care that the Laws be faithfully executed, and shall Commission all the Officers of the United States." All officers civil and military are to take the oaths, and receive the sacrament, etc., upon pain of disability and other penalties. Stat. 25 Car. 2. 13 W. 3. And no such office shall be void on the death of the King, but shall continue six months; unless superseded, or made void by the next successor. 1 Ann. c. 8....[A]ll persons who shall hereafter be admitted into any office, shall take the oaths, and within six months, or actually be liable to all penalties and disabilities, by Stat. 9 Geo. 2, c. 26 and 16 Geo. 2. c. 30. The first part about “successors” explains why John Jay could serve for six months in an acting capacity after Congress established his department under the Constitution, but could not have served as Acting Secretary of State until his death in 1829. As a whole, this blockquote explains why Congress in 1795 would have thought a six-month grace period was a necessary and proper limit on acting cabinet secretaries. My main point is that the “six month” duration was not plucked from thin air, but rather was part of an old English principle, reasonably adapted to our republican form of government that Americans substituted in place of monarchy. 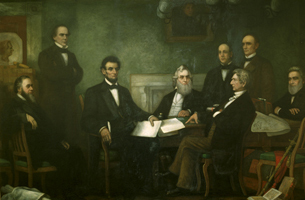 If, as Mike Ramsey argues, the Constitution by "mistake" set zero months instead of six months as the limit on acting cabinet secretaries, except for holdovers from the Articles of Confederation who could constitutionally continue serving forever, then it seems likely that people in the eighteenth century would have proposed a constitutional amendment once they realized the purported mistake.